We have a number of open competitions throughout the year. Details of the competitions can be viewed or you can look at the current start sheet by clicking the desired link. 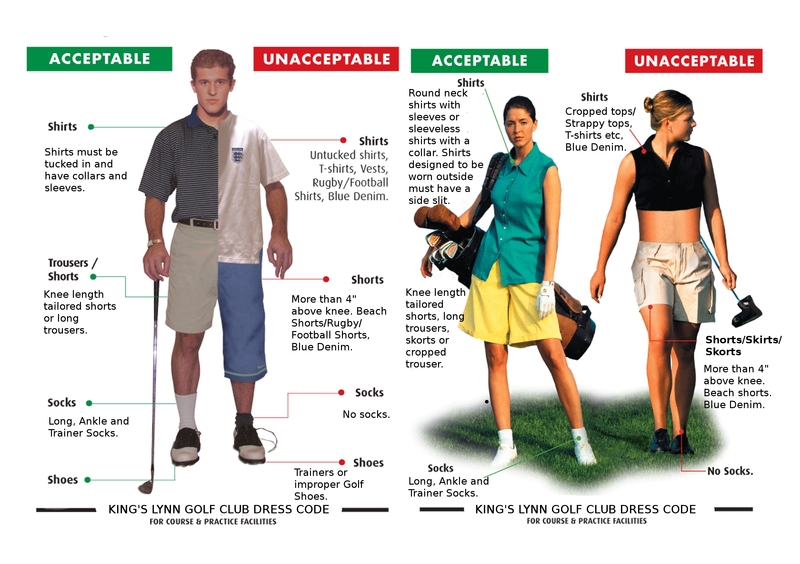 Please read and respect our dress code to avoid potential embarassment when visiting King's Lynn Golf Club. Click Here to download. King's Lynn Golf Club hosted their annual Mixed Open on Sunday 1st July 2018 in glorious weather. It could not have been a more perfect day to shoot a low score. Once again this was a very popular event, with 76 players representing 16 different clubs taking part. The format for the day was better ball stableford. The event was played off the white tees for men and the red tees for ladies and only open to away players. The competitors found the course challenging but in excellent condition. The hot weather saw some of the early competitors scores drop on the back nine, with 36 points leading the competition for a along time. It was the later starters who achieved the better scores. For some competitors it was their first time entering this competition and it was a first timer who actually won. The winners were Carol Jones and Jeremy White from Saffron Walden Golf Club with 42 points. Second place went to Tina and Stephen Hurst from Gog Magog Golf Club with 40 points OCB. Third place went to Zhanna Tarasko and William Selfe from Bourne Golf Club with 40 points OCB. Fourth place went to Vanessa and Bob Morris from Nene Park Golf Club with 40 points OCB. Best Front nine went to Clair and Mark Howell with 23 points and Best Back nine went to Ray Stonnell and Corrine Everett with 24 points. Nearest the pin on the 5th (Men) Ken Squires from Spalding Golf Club and nearest the pin on the 16th (Ladies) Marie Smith from John O'Gaunt Golf Club.